We had a listener request to talk about the afterlife. So, to start off with: most cultures have some sort of idea that you somehow continue after your body dies. A lot of them, including that found in the Hebrew Bible, have everyone experiencing the same death after death. Micah gives an overview of some of general ideas that exist. General American cultural ways of talking about the afterlife seem to be heavily influenced by Christianity, since that’s been the dominant religion. It tends to shake out as “good people go to Heaven, and bad people go to Hell.” Of course, most people would say “I’m a good person.” So really, we all go to Heaven, except those really bad people. Catholicism also has Purgatory, a place where you do your time if you’re not good enough for Heaven. It’s dead jail. Indulgences get a shortened stay. That’s where the Protestant Reformation comes in, basically. Since early Quakers thought it was the end of the world, they didn’t bother with coming up with much afterlife theology. They weren’t expecting to be dead before Jesus comes back. They believed it was imminent. And at this point, we don’t have a unified theology on the afterlife. You could find a Quaker who believes ANY of the things we talked about in this episode. Mackenzie’s feeling is that what happens after you die doesn’t change what you’re supposed to do while alive. We mention purgatorial universalism, a belief wherein Hell may exist but is empty. On the other hand, lots of people think of Heaven and Hell as states we experience in this life. One of our friends pointed something out. The Kingdom is within you. The gates of Hell will not stand. So is the Kingdom breaking through (through us!) and overrunning Hell’s gates? Maybe that results in an empty Hell. This feels like a callback to the Lamb’s War. And then also: Hell has gates, maybe to keep people in. The new Jerusalem’s pearly gates are always open. MacKenzie: Welcome back to Quaker Faith and Podcast with Mackenzie and Micah. 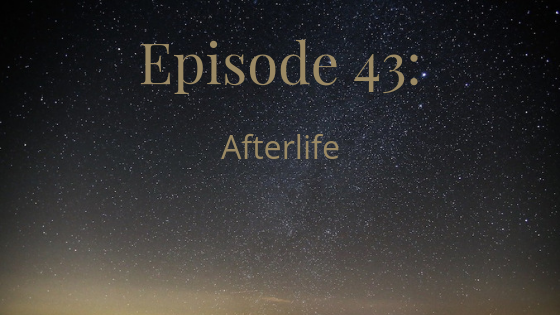 We had a listener request to talk about the afterlife and so that is what we are going to talk about today. Micah: And we’ve got all the answers. MacKenzie: Sure, maybe you do. For starters, in popular conception, afterlife means heaven and hell or, if your Catholic, then maybe also purgatory. Micah: Or limbo. They just got rid of limbo. Micah: But there used to be a limbo. MacKenzie: But being alive was better. MacKenzie: I guess unless … or Odysseus comes and rescues you. Micah: Right. I mean, this is actually the idea that the Hebrew … the Israelites and the Hebrews had in the Old Testament. They talked about Sheol … sometimes an older translation it’s translated as hell, but that’s not the word. The world is Sheol, it means the pit. And it’s basically the place where if you just want to imagine people as being electronic machines and we’ve all got a battery and the battery is our soul. Sheol is where when you take the battery out of the machine, you toss the battery into a pit because that’s where all the batteries go and it’s just a pit full of batteries sitting there and that’s where people go when they die, they Sheol’s just hang out in this underworld place. That is not particularly awesome, there’s not really anything going on there, it’s just like, “I guess this is where discarded souls go”. MacKenzie: That’s why in the Hebrew Bible, what is the thing that you are granted as a reward, is that you get to live longer. You get more time of being alive before you have to go to Sheol. Micah: Right. Which again, it’s not a place of torture, it’s just a place of hanging out and doing nothing. Kind of blah. That’s really common understanding of the afterlife in the ancient world, you had different ideas, like I learned in grade school that the ancient Egyptians had this idea that you had to do all these special preparations for your soul for you to even be able to get to the afterlife. You had to mummify, so your soul had a place to fly back to and wouldn’t get lost. MacKenzie: Which in other words they get ghost? MacKenzie: I mean, because popular conception has that if you die and you have things that you were supposed to do and didn’t complete or if it was traumatic or whatever, that your spirit, instead of going to wherever it’s supposed to go, stays on earth and wanders sadly or annoys the heck out of people or whatever [inaudible 00:04:25] sort of thing they want to do. Micah: Yeah. The Egyptians had a concept of heaven and hell in a sense, where you basically went and they would weigh your heart … that’s the feather of truth and if you were found unworthy, they would feed you to this … what was it a crocodile? That eat you, eat your soul and you would basically be dead, like really dead. Otherwise you would go and live in the afterlife and have all kinds of cool stuff, but hopefully you packed for your journey. MacKenzie: Right, which is why the pyramids for the Pharaohs are filled with … don’t forget your food and your drink and your money, you need that. Micah: In what I … and again I am not an expert, but in what I understand of traditional Buddhism, traditional Buddhism kept the cosmology of Hinduism, which means that there actually is a hell and there is a heaven and there are gods and there are demons, but none of this is where you actually want to be because according to that cosmology, if you do really well you could become a god, if you do really terrible you could become an insect or tortured in hell or whatever. What Buddhism, again not an expert, but my understanding of Buddhism, the goal is not to become god, it’s certainly not to become a demon or be tortured in hell, the goal is to exit the cycle of death and rebirth and suffering and the exit the system entirely so that you aren’t reborn as a god or as an insect. Micah: I feel like … there’s so many different ideas about the afterlife, but it does seem like it’s a near universal thing, this idea of there is something after death … physical death of the body is not the end of human experience. MacKenzie: Obviously not for atheism, there might be a modern idea that nope, really you’re just your body, once the body is dead, that’s it, you have blinked out of existence. Micah: Yep. And I would say, again, there may be some cultures that I’m not aware of that I’m missing, but in my … in what I’ve read and what I’ve seen, that does seem to be a really new idea, the idea of there being no spiritual realm at all, just that when you’re dead, you’re dead that’s it, there is no you inside your body. Micah: Before we even get to Christian conceptions, strictly Christian conceptions of the afterlife, I want to talk about pulp American understandings of the afterlife. MacKenzie: Has an awful lot of Christians. MacKenzie: I haven’t seen it. MacKenzie: I haven’t seen that either. MacKenzie: Or just generally, good people go to heaven, bad people go to hell. Micah: Right. Right. I think it’s a pretty popular idea that in American folk religion that hell is a place where enemies go and heaven is a place where our friends go. MacKenzie: Right. Or what’s that Billy Joel song, “I’d rather laugh with the sinners than cry with the saints”. Micah: I think the baseline spirituality around the afterlife in this country tends to be heaven is the normal thing that we should all expect, hell is those really bad people who need punished really hard. MacKenzie: Yeah. Then also Catholics do have purgatory, which is totally absent, I think, from general pulp American moral therapeutic deism is the term I have heard for that general thing that you’re talking about where you’re generally good to get to heaven. Sure there’s a god, but he’s not really interested a whole lot in what’s going on. Micah: It’s super interesting because most Americans at this point … most Americans are not religious, but almost all Americans believe in God. If you ask most Americans … I think it’s still in the high 80s percentile, the high 80%s would say, “Yes, I believe in God”, even though most of them probably wouldn’t … they wouldn’t walk in the door of a church or a mosque or a synagogue, they don’t prescribe to particular religious beliefs in terms of community, but almost all Americans believe in God, which is super weird. Other European derived societies have mostly gone secular and most, if not … many, if not most people, identify as atheists or agnostics. Micah: I guess I just want to start there and the milieu that we’re in here, where there’s sort of accepted ideas about the afterlife that most people think there is one, most people believe in heaven, fewer people believe in hell. And I think that in our culture in general, heaven is seen as the default and hell is for really bad people. MacKenzie: And it’s a thing that you can curse people, too with, right? MacKenzie: Okay. I still do want to put in the … explain the purgatory idea. Micah: Sure, let’s definitely do that now. Micah: Will enter the Kingdom. MacKenzie: Okay. I will take your word for it because I am not so good at quoting the Bible. This idea that Catholics have about purgatory is that it is a chance after you have died, if you were not bad enough to warrant hell, but not good enough for heaven yet, that in purgatory, you will be purged of your remaining sins that are standing in the way, basically you’re doing your time. It’s like afterlife jail and then you will move onward to heaven. The reason that Catholics pray for dead people is to praying that their sentence in purgatory will be shortened so they’ll get to heaven faster. Micah: Man, almost related … one of the most disturbing things I’ve ever seen in a church is I went to this little Catholic cathedral or church building in Mexico and there was this pedestal set up where you’re supposed to give alms, where you’re supposed to give a donation to the church. Above it was this person in flames in agony with their hands outstretched and the implication being, put in some money so your relative doesn’t have to burn anymore. MacKenzie: Great. That’s also what the selling of indulgence is in the … that kicked off the Protestant Reformation was a lot of those indulgences were paying to get your relative from purgatory to heaven faster. There’s also one purgatory indulgement that is if you … instead of stairs that supposedly if you go up the stairs on your knees, praying on every step then whatever relative you’re praying for immediately moves form purgatory to heaven. MacKenzie: It’s a very long stairway. Micah: Yeah, stairway to heaven. MacKenzie: Literally, yes. There’s a bustle in your [inaudible 00:14:23] … okay. MacKenzie: Yeah, that’s purgatory. And then, of course, there are different ideas about how purgatory works and things like that. We mentioned limbo as being a maybe that’s where dead people … maybe they go to purgatory. Micah: And who was it … was that Benedict who got rid of limbo? MacKenzie: I don’t know. It’s gone back and forth so many times over the last 1500 years. Micah: In our lifetime, I forget when, I think since I was an adult, the Catholic church got rid of limbo and said, “No”, but I don’t remember where they said they went, maybe they went to heaven? MacKenzie: I don’t know. Maybe purgatory, I’m not sure which. Micah: Oh, purgatory yeah because they’re not baptized. MacKenzie: Right, they’re not baptized, so they would still have original sin in Catholic conception. Oh geez. Micah: I think in the Roman Catholic and perhaps other high church conceptions of sin, you … purgatory is for folks who have … still have unconfessed sin, but that it’s not mortal sin. There’s certain sins like if you haven’t confessed those sins, you automatically go to hell, like murder for example. MacKenzie: Right. The Catholic Church, at least, makes a distinction between mortal sins and venial sins. One of them can … purgatory can deal with and the other one they can’t. Blasphemy is one that purgatory cannot deal with, for instance. That’s also … that’s a good point, that’s also why Catholics have confession as a sacrament, as opposed to just when you do wrong to somebody, tell them you did wrong to them and apologize. MacKenzie: Which is how, I think, most other Christians interpret confession. Micah: And this was an enormous deal particularly … I mean it still is, obviously, for millions of Catholics across the world, but for virtually all Christians in Europe in the Middle Ages, this was an enormous preoccupation, making sure you had confessed recently of everything so that you wouldn’t go to hell when you died. People are … more so than today, people often died suddenly. One of the greatest fears of the Medieval Christian was dying suddenly. People wanted to know they were dying. MacKenzie: So they would have time to see their confessor, yeah. MacKenzie: Okay. We’ve talked about general afterlife stuff, Christian afterlife stuff, some Catholic particularities, so … okay, Quakers. That gets a lot harder, especially because, as we said a few episodes ago, when Quakers got started, they thought it was the end times and that they were the last generation, so they weren’t particularly worried about what happens when you die. We’re not going to die before Jesus comes. MacKenzie: It’s happening right now. MacKenzie: After they died … spoiler. Micah: I think it’s really hard … more than most subjects actually, because it is hard with most subjects to say, “Here’s what Quakers believe”, but I think even more than with most subjects, it’s difficult to say what Quakers believe about the afterlife. I hate this phrase, I think it’s actually a very problematic phrase, which is in effect like a doctrine, but it’s a common phrase when Quakers say … I mean there’s other denominations, too, “Well, ask Tim Quaker to get 12 opinions”. MacKenzie: That’s a common thing for Jews to say, as well. Micah: I think, in this particular case, that’s legitimately true. I don’t think there’s actually a corporate witness on the afterlife among Friends, at all. I don’t think there ever has been. MacKenzie: I don’t think so, either. And a couple years ago, a friend of mine … like I said, Jews also have many opinions thing. A couple years ago, I was catching a ride from a Jewish friend and he’s like, “You’re a Quaker now” and we hadn’t seen each other in years. He was asking about that and he asked what do we believe about the afterlife. My answer was that we don’t have a real defined theology of it and basically the result of that is that individually we just trust that God is merciful and whatever God decides, that’s what’s going to happen, but God’s merciful, God loves us, so hopefully it’ll work out. He actually said that that’s also a really common sentiment for Jews. Micah: Yeah. I think it’s a healthy sentiment. I think all of us perhaps have our own ideas about what does or doesn’t happen after an individuals death. The fact is that none of us have any personal experience with dying and it’s not clear to me how helpful it is to speculate about what happens after death. The teachings of Jesus, the teachings found in the Bible, the traditions of the Church, the leadings of the Holy Spirit, all of these are completely sufficient to lead us into the way of Jesus and the way of Right Living, without any reference to something after we die. Micah: A promise of heaven or a threat of hell, whether or not those are accurate depictions of how the world really is, neither of them are necessary for the Christian life. MacKenzie: Right. And I guess it’s part of that whole trusting God with whatever’s going to happen, is if we’re doing what God wants, them I’m sure we’re [inaudible 00:20:16]. If we’re being faithful, then why should we have to be concerned with the afterlife, I’m sure God will take care of us. I’ve seen people say if you’re only a good person because you’re afraid of going to hell, then you’re not really a good person. Micah: I would say this point, in Orthodox Christian theology, people don’t go to heaven for being good people because no one’s good. I mean, that’s a difference between folk religion in this country and Orthodox Christianity, which is Orthodox Christianity teaches us that all of us stand condemned by default, by our own behavior and by our own attitudes and by our own fallen-ness, wickedness and that it is through relationship with God with His Son, Jesus, through the Holy Spirit, that we can be transformed and then not be in wrong relationship with God. But the default … if you do believe in an afterlife hell, I certainly believe in hell in this life, because I’ve been there. In whatever form you believe hell to be, hell is for all of us. Hell is something all of us can experience and we can expect to experience, as long as we hate God and hate other people. MacKenzie: Actually, mentioning the present life hell versus afterlife hell … and you’re saying, if you believe in afterlife hell, right? MacKenzie: Yeah. Origin, he put forth the idea of … or he was a proponent of purgatory universalism and it was a pretty popular idea, that everybody goes to purgatory and is there for however long is necessary and eventually makes it to heaven. And even if you don’t believe, that this is your chance … this is the idea that non-Christians could end up in heaven because after they die, the whole, “Oh, okay” and get with the program and would go to heaven eventually. That’s one thing related to the after … in which case hell exists, but it’s empty. MacKenzie: The other thing is that I was talking to one of our friends, Eric, about heaven and hell and walls and he pointed out that in the Bible, it doesn’t actually say anything at all about heaven having walls. As I said in a previous episode, the pearly gates are in the New Jerusalem, not in heaven. MacKenzie: The New Jerusalem he sends out of heaven, it’s not in heaven itself. Micah: I guess … okay, continue, I don’t mean to interrupt. MacKenzie: Okay. That there’s a bit … in one of the Gospels, probably Matthew, where Jesus says that the gates of hell will not stand against the Kingdom. That’s where, in his conception … and I really like this one, that the Kingdom of Heaven, as it is breaking forth into the world through people, that is itself pushing back on hell. Ultimately, the lamb’s wool being one, to tie this back to the beginning of this season, ultimately the lamb’s wool being one would result in hell being an empty place because heaven has overrun it, since the gates will not stand against it. Micah: Something else that’s interesting about that is that in terms of the gates of hell. Hell apparently has gates and the New Jerusalem has walls and for me, New Jerusalem and heaven are synonymous, but the New Jerusalem has walls but it’s gates are always open. MacKenzie: Gates are always open. Micah: Right. That’s interesting. I wonder why hell would have gates? MacKenzie: To keep people in. MacKenzie: He also wrote Narnia. Micah: He also wrote Narnia. But he writes about hell. And for Lewis, hell is a place that we choose to be … that we actively choose to be, but it’s not like anyone is forced to be there. They continually choose to be there. For someone who is interested in reading a little bit more about hell from a very interesting perspective that I think you will appreciate, I recommend C.S. Lewis’, The Great Divorce. He talked about heaven and hell and illustrates it with an image of what these places are like and it’s not what you’d expect. MacKenzie: You can find us on the web at QuakerPodcast.org. 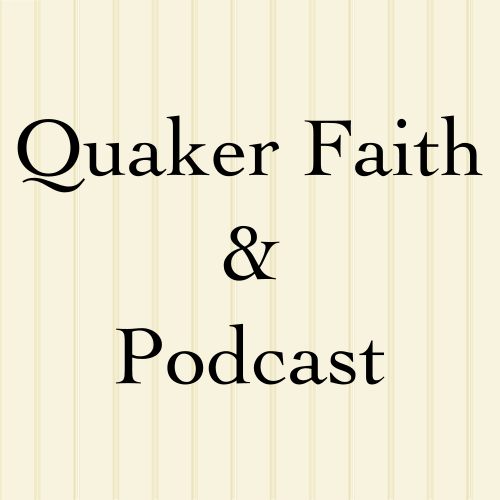 As Quaker Podcast on Twitter, Facebook, or Patreon, and on iTunes.